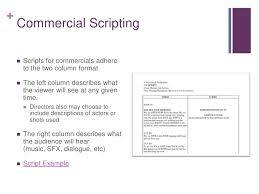 Having learnt what advertising and its job means, you can write an advert script from the ideas you have gathered. Writing an advert script is just as tasking as being the advertiser himself. They are just the same thing. Advert scripts are written by script writers. These script writers can also be advertisers. An advert script writer should imbibe the qualities of an advertiser. In addition, there are just two things he should be looking at when writing the script; the product and the consumer. He has to at every point in time uphold the relationship between the two. He should write down every bit of information about the product. He should also do same about the customer. At the end, the slogan takes its place. Then the audio productions and the video productions set it. Advert videos are very trendy these days. With the huge rise in the number of TV stations, and the tremendous increase in the number of brand products, goods and services; you should always expect advert videos to be the order of the day. Advert videos are short story films or visible illustrations that depict the advert script, with the aim of driving down the message about the product being advertised to the audience who may turn out to be potential customers. Advert videos have advanced so much nowadays that they no longer only advertise the products they have in them, but also serve as a suspense, thrilling and dramatic films. With this advancement, high class ideas are put up for these adverts videos in such a way that the short stories in them or whatever visible impressions from them do have wonderful concepts that viewers would enjoy. As a result of all the above, if you are a screenplay writer who has been given a job to write a screenplay for an advert video, you should make sure it is written with so much meticulousness that even surpasses that of a feature film screenplay. Look for fresh and untapped ideas. These ideas as you've been informed earlier are stories, actions and impressions your audience would so much enjoy; and consequently the product being advertised would have a very good wide reach.